Heterocycles are among the most frequently encountered scaffolds in drugs and pharmaceutically relevant substances. 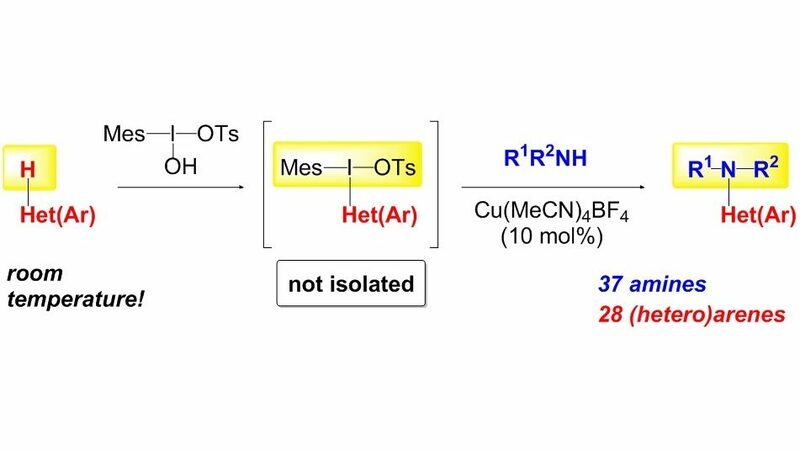 Among the plethora of available methods for their functionalization, the most appealing are those relying on a transition metals-catalyzed direct transformation of the C–H to C–C or C–Heteroatom bonds. 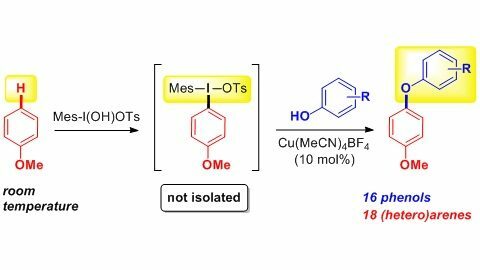 We have developed one-pot sequential multi-step approach to functionalization of aromatic and heterocyclic C–H bonds. 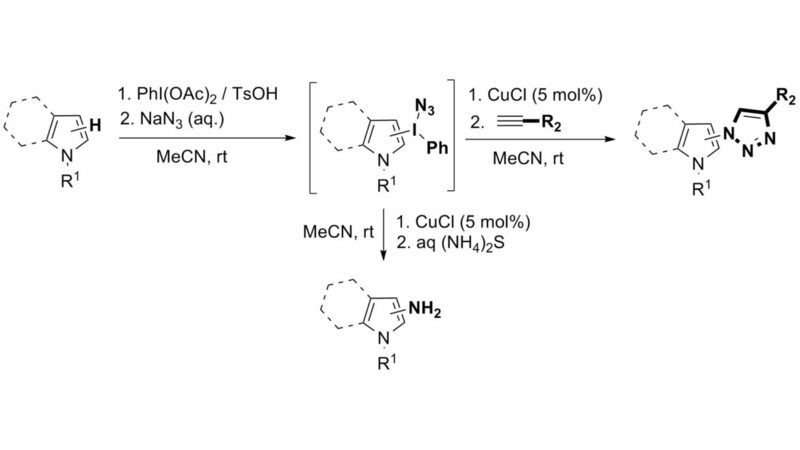 The methodology comprises an initial reaction of electron-rich arenes or heteroarenes with a suitable I(III) reagent. 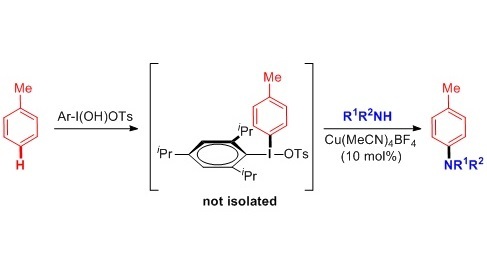 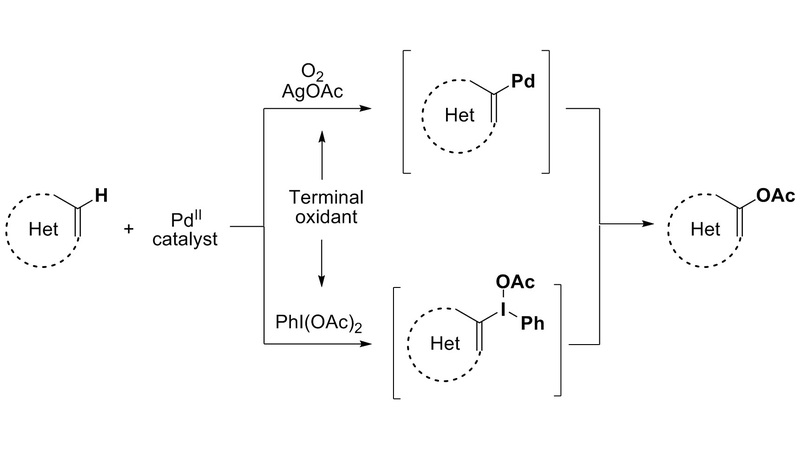 The in situ formed unsymmetrical diaryl-λ3-iodanes subsequently undergo Cu or Pd-catalyzed reaction with wide range of oxygen and nitrogen nucleophiles.